Hyatt Hotels Corporation has revealed the company expects 40 new hotels to open in California, Oregon and Washington by the end of 2021. Revealed at the Americas Lodging Investment Summit (ALIS) is Los Angeles on Monday (Jan 28), Hyatt said the expansion would fuel Hyatt’s regional brand growth by nearly 45 percent. Hyatt’s Global Head of Development and Owner Relations, Jim Chu, said the West Coast is a priority for developers due to business demand from several strong markets in cities like San Diego, San Francisco, Portland, Ore., and Seattle. He said further reasons to support Hyatt’s strategy to focus on West Coast growth includes corporate and leisure travellers from Asia, where Hyatt has strong brand name recognition. “The West Coast U.S. is a primary area of focus for Hyatt, and we see enormous potential to grow our portfolio of brands in this region,” Chu said. 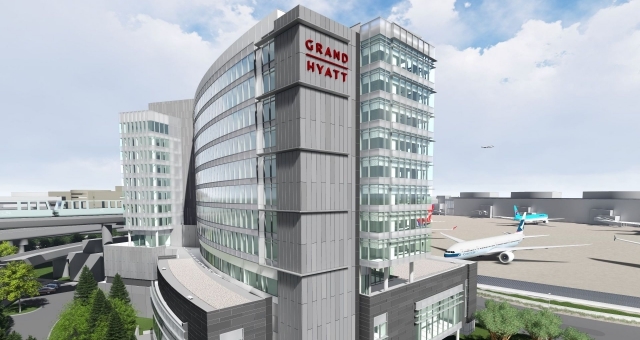 Most notably, new West Coast properties include Hyatt House San Jose/Cupertino (March 2019) to be located in the heart of Silicon Valley; the 350-room Grand Hyatt at SFO (Summer 2019), which will be the only hotel on airport grounds; the 600-room Hyatt Regency Portland at Oregon Convention Center (Early 2020); and Thompson Hollywood (Early 2020). Chu said these would complement the recently opened Hyatt Regency Seattle, the largest hotel in the Pacific Northwest, per number of rooms (1,260) and meeting space (103,000 square feet).